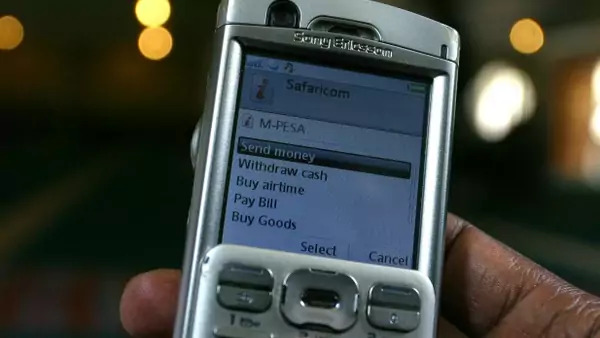 A man uses the M-PESA mobile banking system in Nairobi, Kenya, May 2009 (Courtesy Reuters/Noor Khamis). The results seem promising: researchers found that there were significant improvements in the recipients’ financial and psychological well-being. For some, assets and incomes increased by 58 percent and 33 percent respectively. Food security and consumption levels of goods increased while spending on alcohol and tobacco stayed constant. In addition, the program seemed to improve the mental health and lower stress and depression levels of recipients. Researchers also found that there were positive spillover effects that boosted women’s empowerment, both in households participating in the program and in the community as a whole. Such short term gains are hardly surprising (presumably, windfall cash makes most people happier), but the long-term effects of unconditional cash transfer (UCT) programs remain unknown. Although the study found that spending on healthcare and education increased slightly, overall levels of health and school attendance did not change. According to The Economist, CCTs have their drawbacks, but “usually do a better job” than UCTs in reducing poverty because their health and education requirements benefit the next generation. Amanda Glassman of the Center for Global Development, however, makes the interesting observation that although CCTs in Latin America have led to higher school enrollments, “no program can find an impact on learning as measured in standardized tests.” Her bottom line is that requiring parents to send their kids to poor-quality schools doesn’t necessarily translate into the increased learning that is associated with greater wages in the labor market. I also think back to the important point that Harvard Professor Lant Pritchett made last year – that the purpose of conditionality in Brazil’s and Mexico’s CCT programs was not really to get more kids in school (school enrollment was already above 95%) but rather to make those programs more politically palatable. So where does this leave us on evaluating UCTs versus CCTs? Because unconditional cash transfers are a relatively new development tool, we still don’t have enough information to determine if these programs can actually get at the root causes of poverty or merely treat its symptoms. Regardless, the results of GiveDirectly’s study challenge the assumption that only conditional cash transfer programs are effective in improving living standards for poor communities. When given the choice, many poor people spend wisely, defying the stereotype that they will behave irresponsibly with cash and that donors and governments must make choices for them. And with an expense ratio of approximately 7% (significantly lower than most NGOs) GiveDirectly’s unconditional cash transfer program at a minimum sets a new efficiency bar for poverty alleviation schemes.